Carnival’s newest cruise brand Fathom is to stop sailing in Summer 2017. It seems the weekly alternating cruises to Dominican Republic and Cuba have not worked out and the cruise line has only been operating since April 2016. 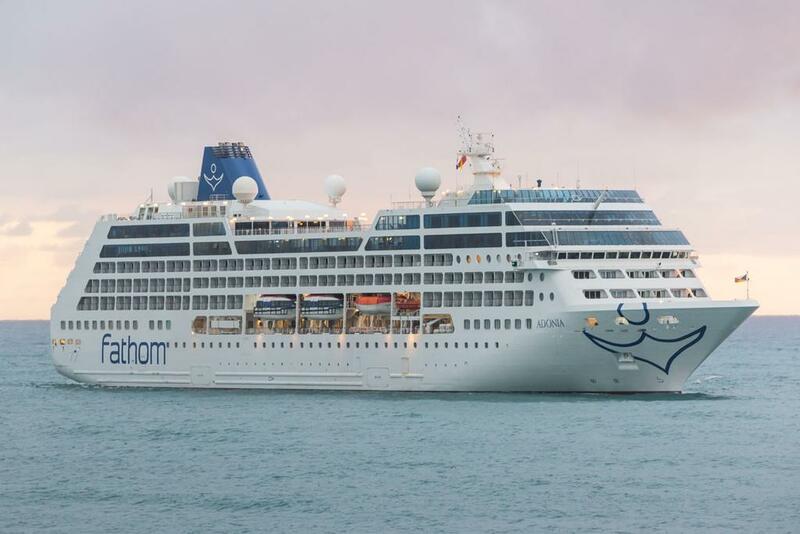 The Adonia cruise ship which is the only vessel operated by Fathom will transfer back to P&O Cruises in the UK. The 704 passenger ship was the first U.S. based ship to offer cruises to Cuba where it arrived for the very first time on May 2, 2016. Carnival has already requested approval for other brands to sail to Cuba which could begin around June, 2017. An agreement could be signed at the end of the year so watch out for an announcement in the future. Even though we don’t yet know which cruise line will sail to Cuba in the future we can expect one of the smaller vessels which sail from the United States. The Fathom experience has been expanded across our many Carnival Corporation brands sailing to the Dominican Republic and beyond, and the Adonia is being scheduled to sail in the UK for the summer season for our P&O guests. Just days ago the cruise line announced that its unique shore excursions will continue on its sister cruise lines visiting Amber Cove in the Dominican Republic. The tours and Fathom experience is to be rolled out across other cruise brands. Fathom operates the Adonia cruise ship out of Port Miami and has received much coverage for offering a new type of cruising experience. Guests are able to enjoy social impact excursions where they can make a difference in the local community. The cruise line will continue to operate and you can still get a great deal for Black Friday and Cyber Monday.